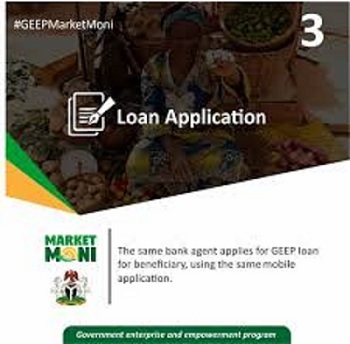 The President Muhammadu Buhari administration has launched an initiative under the Government Enterprise and Empowerment Programme (GEEP), called the TraderMoni. It is to boost its financial inclusion agenda for Nigerians, regardless of social class and economic status. The initiative will empower two million petty traders between now and the end of the year. The scheme, which was launched last week in Lagos, will grant a minimum of 30,000 loans in each state and the Federal Capital Territory. Two million marks are expected to be attained on or before the end of the year, with petty traders in Lagos, Kano and Abia states set to be the first round of beneficiaries to draw the collateral free loans. A statement by the Senior Special Assistant to Acting President Yemi Osinbajo, Laolu Akande, said in addition to the 30,000 loans per state, states with larger population, such as Lagos and Kano, are expected to get more than 30,000 loans. He said: “Across the country, especially in the pilot states, about 500,000 potential beneficiaries have been enumerated. “In order to identify the beneficiaries, no fewer than 4,000 enumeration agents have been engaged by the Bank of Industry, which is deploying the new scheme. “TraderMoni is designed to help petty traders expand their trade through the provision of collateral free loans of N10,000. The loans are repayable within six months. “Under the scheme, beneficiaries can get access to a higher facility, ranging from N15,000 to N50,000 when they repay N10,000 within the stipulated time. “The goal of the Buhari administration is to use the TraderMoni to take financial inclusion down to the grassroots, the bottom of the ladder, considering the contribution of petty traders to economic development. The Federal Government is also aware of the fact that many of the petty traders don’t have what the commercial banks require to grant them loans. “This administration is keen to ensure that such traders at that level are able to build their businesses and grow. The Lagos markets reached, he said, are Mushin, Ikotun, Agege, Ketu and Abule Egba. “Beneficiaries are already heaping praise on the Buhari administration for this initiative that will improve their businesses. “Mrs. Mufiat Adewumi, a market leader in Lagos, said it will help ordinary Nigerians, who cannot have access to commercial banks’ credit facilities because they don’t have collateral. you must have a valid BVN. your market association cooperative or trade group must nominate you for a loan and must be willing to stand in as your guarantor. you must have a business location which will be verified by market moni agents.